Ben, it seems like most of the ones you moved to S/H have violacea or bellina in them. Do you think they are better suited than other species? This is just coincidence. I've moved over 100 plants to s/h and these just happen to be the ones I took pictures of. I didn't think anything about what the plant was. I just grabbed it and repotted. FWIW as someone who is pretty exclusively into novelty Phals, you'd be hard pressed to find any hybrid I have that doesn't have violacea or bellina in it anyway. I've repotted my mini-antelope Dens into s/h too. They seem to be doing fine, but grow slower than Phals. I'm babying them. I think I might be that Colorado contact! Am I? Hehe... I grow 50+ Hippeastrum bulbs in sh and they grow so incredibly well for me this way. It's really something to see. The only problem I have is finding pots big enough for them...they love to spread out their roots and I've come home to a burst pot before, plant balls everywhere, which are a huge pain to clean up. I grow all of my orchids in sh too and I can confirm the Bellinas do not like it much but they live on a heat mat which helps a lot. Jim do you hybridize? 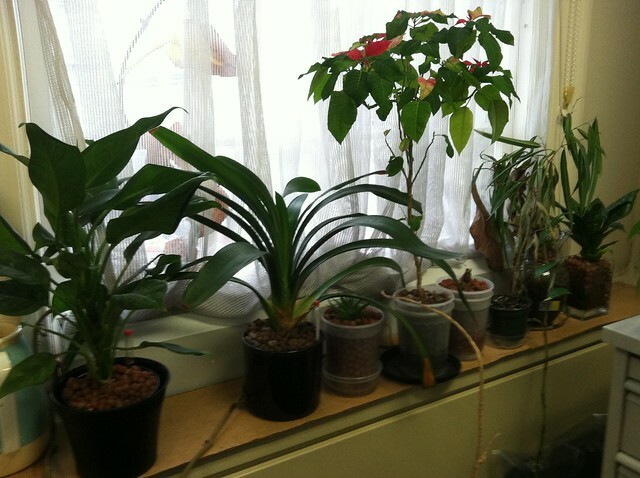 I love your plant and would love some seeds if the occasion were to arise. Here is a quick pic of mine. Very nice! Have you transferred to sh yet? Clivias live it too. It isn't. I may try it? It might be hard to find a big enough pot! That can be a problem with amaryllis type plants...they like to fill up a pot fast. I once had a hippeastrum bulb do nothing but grow roots into the sh for what felt like months. Then one day it seemed to grow leaves and scapes of flowers over night. I hope of can find a decent pot. If it helps, I potted mine into a terra pot and bought a deep overflow dish for it...essentially the same idea as the traditional sh pot but I found the civil enjoyed the terra pot more...I think because it kept it cooler. Hey Ryan! Yep, self and same. Small world. I think half the regulars I recognise from OB are here too. Unfortunately, I haven't gotten into hybridising Clivias yet as I barely have time for what I have. Each year though, I go to the Clivia symposium at Longwood Gardens and get the urge to have a go at it. 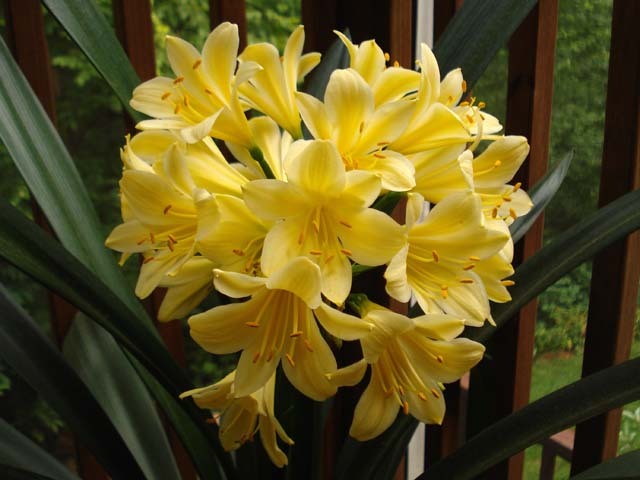 I also want to get their Clivia 'Longwood Debutante', but it's a bit out of my range right now. I think my next Clivia will be a variegated daruma type. I would be interested in trading a fan of 'Solomone Yellow' for a nice white one if someone happened to have some extras lying around. Bob??? yeah, they are root and space hogs! lol, im afraid of what will happen next year, i wont have room for it inside anymore!! My entire greenhouse is growing in S/H, even some citrus trees and a banana tree along with many brugmansias and tropicals. CJ, how cold do you let your S/H phals get?